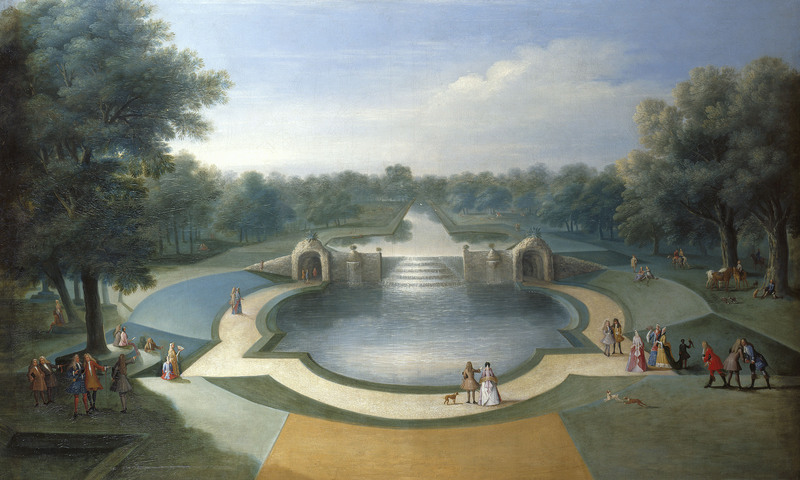 Marco Ricci, A View of the Cascade, Bushy Park Water Gardens, c.1715. This is a great exhibition which celebrates the idea of the garden through paintings, drawings, books and the decorative arts from the 16th to the early 20th century. 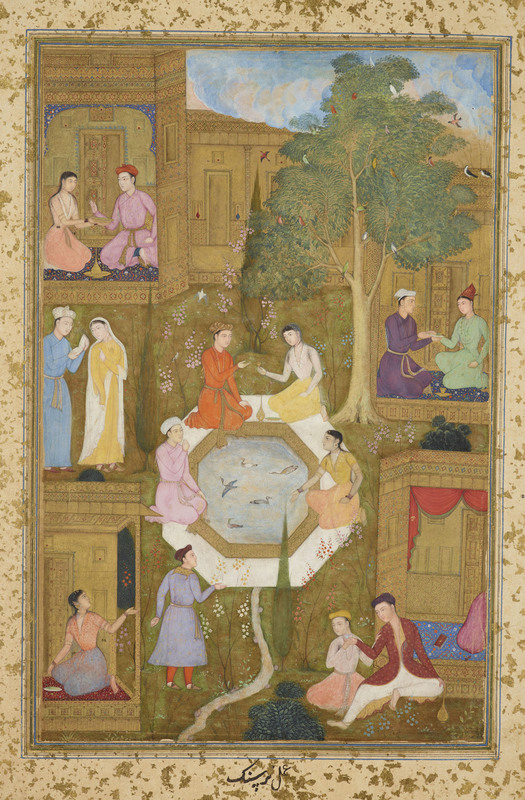 Mir ‘Ali Sir Nava’l, Seven Couples in a Garden, c. 1510. We see a Persian garden depicted in an Islamic manuscript, the gardens of Versailles and Hampton Court, Kew, Windsor and Osborne House. 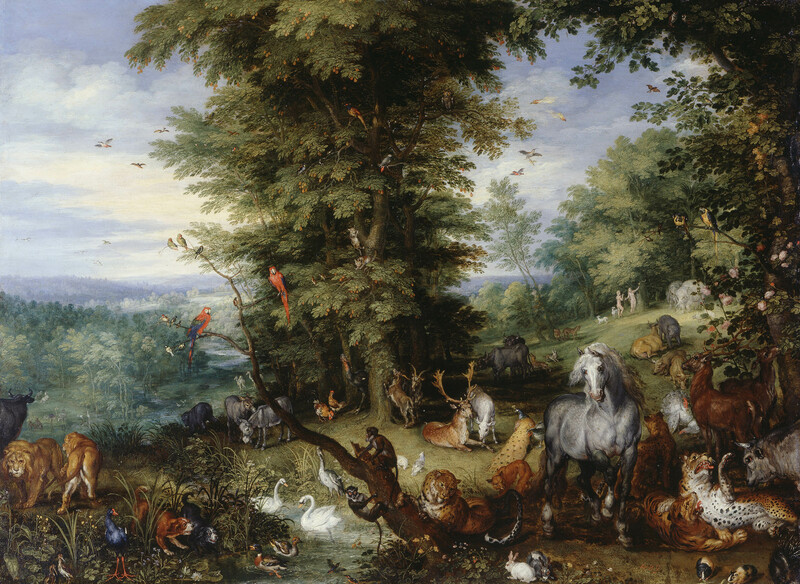 Works by Rembrandt, Leonardo da Vinci, Jan Brueghel the Elder as well as late 19th and early 20th century watercolours and a Fantin-Latour painting. 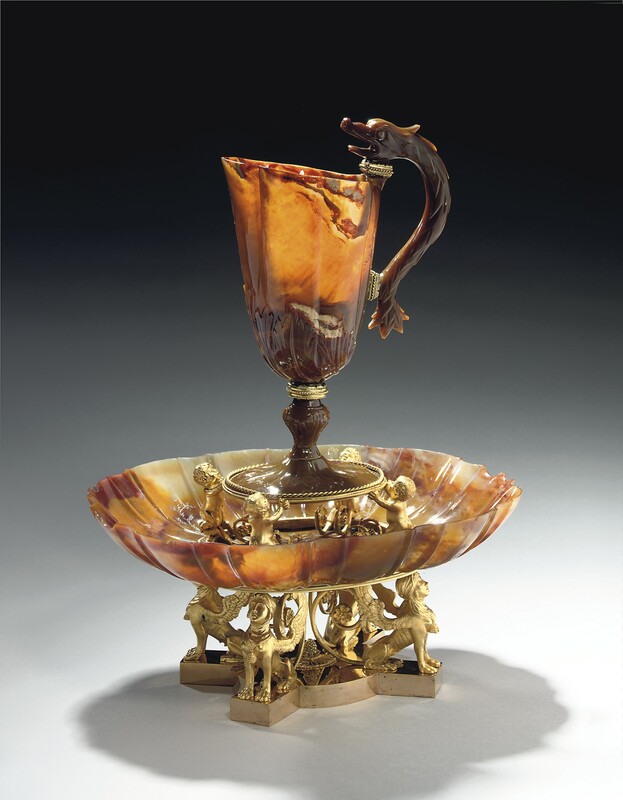 There is a wonderful selection of floral decoration on Bow, Chelsea, Meissen and Sèvres porcelains, textiles, furniture, silver, fans and jewellery, including pieces commissioned by Prince Albert for Queen Victoria and of course works by Carl Fabergé. 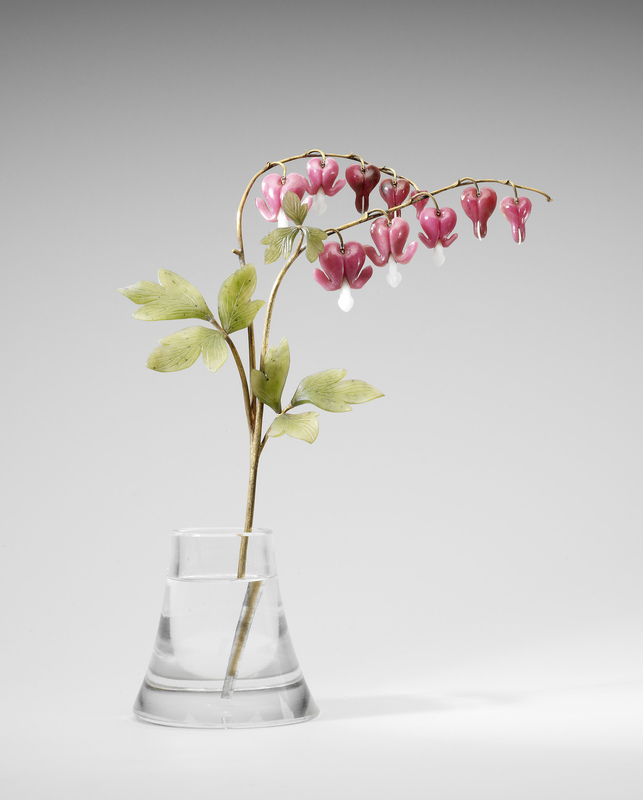 Workshop of Carl Faberge, Bleeding Heart, c.1900. This engaging exhibition appeals to most tastes as it reveals the garden as a place of beauty, a place for research and science, a place to relax and enjoy and a place to wonder at the glories of nature. 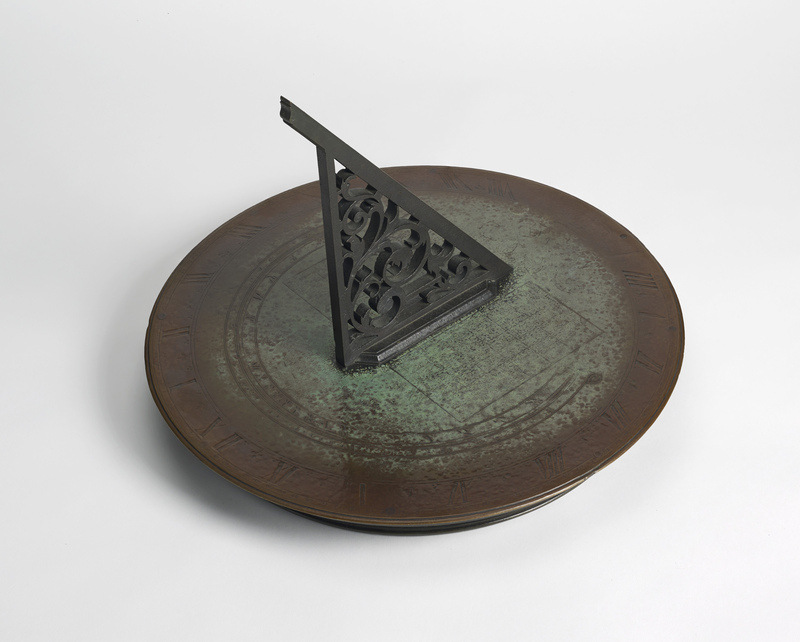 Thomas Tompion, one of a pair of sundials, 17th century. 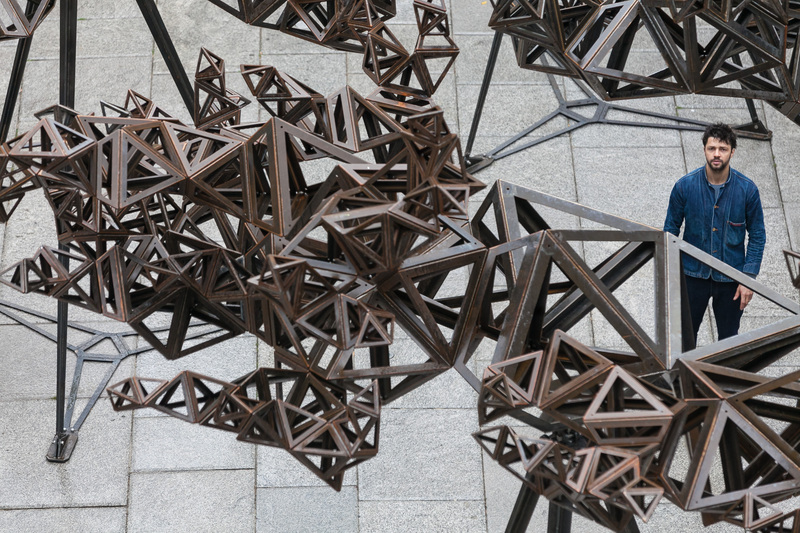 From the moment you enter the courtyard and experience Conrad Shawcross’s The Dappled Light of the Sun, 2015 you realise that this year’s Summer Exhibition is going to be different in a good way. 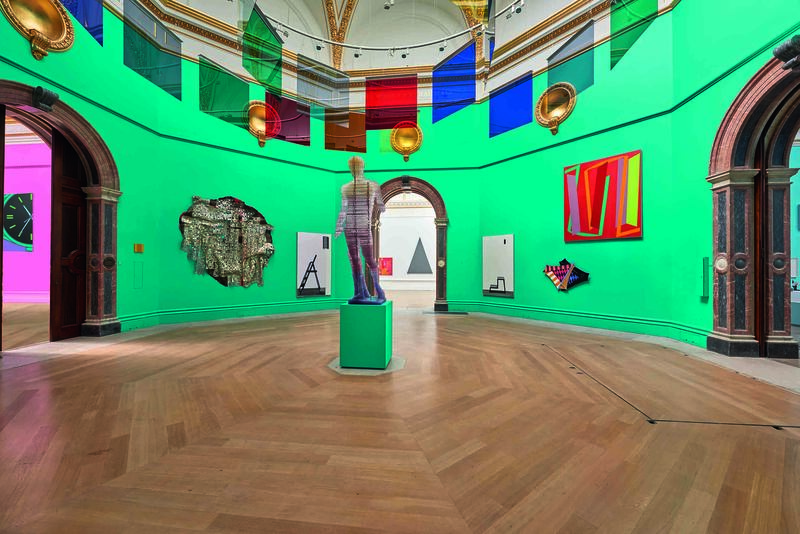 Upon entering the building this is confirmed by the main staircase which has become ZOBOP a highly colourful installation by Jim Lambie, which is made up from pieces of vinyl tape. When you enter the exhibition you are greeted by the vivid green walls of the Wohl Central Hall with to the right the bright blue of the Lecture Room and to the left Gallery III is a wonderful deep pink colour. 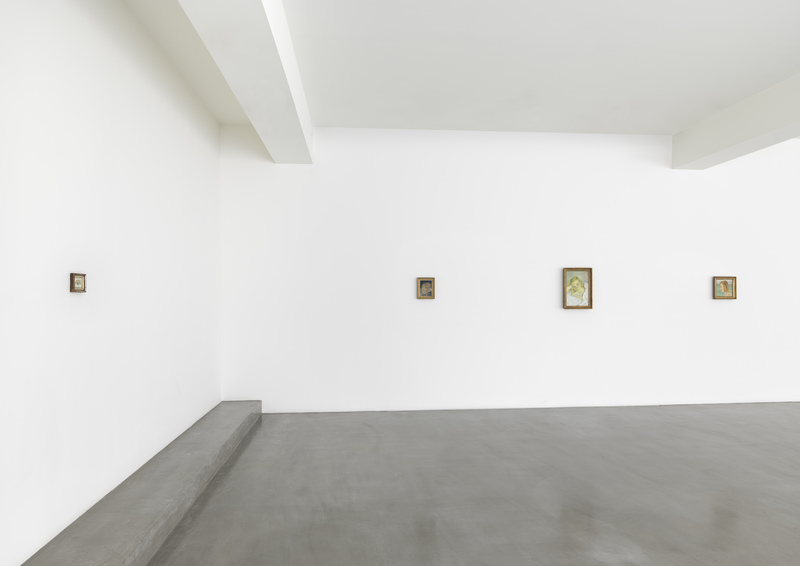 The hang and display of the works is different too as there is a sense of balance and a less cluttered feel. This is helped by the fact that the Architecture Gallery is in the Large Weston Room and that two galleries are devoted to Prints. 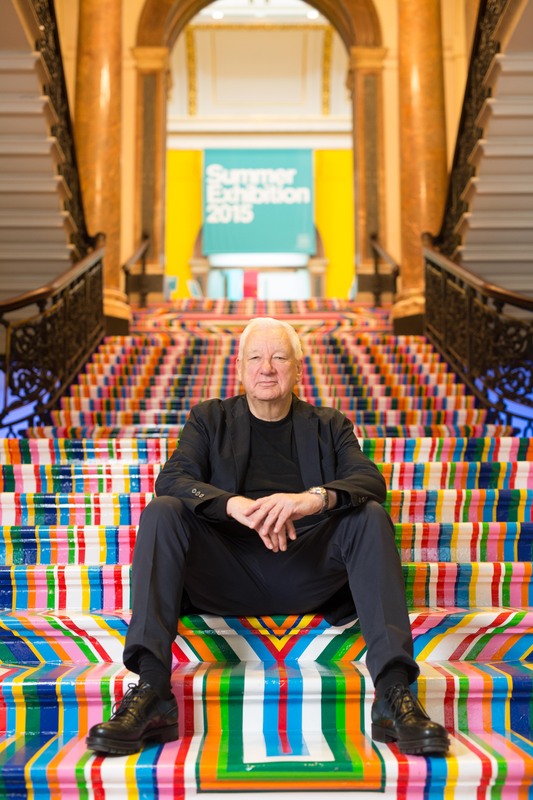 All these positive changes are down to this year’s co-ordinator Michael Craig-Martin CBE RA and the hanging committee which includes Royal Academicians Norman Ackroyd, Olwyn Bowey, Gus Cummins, Jock McFadyen, David Remfry, Mick Rooney, Alison Wilding, Bill Woodrow and Ian Ritchie. They have set a high bar for their successors next year. 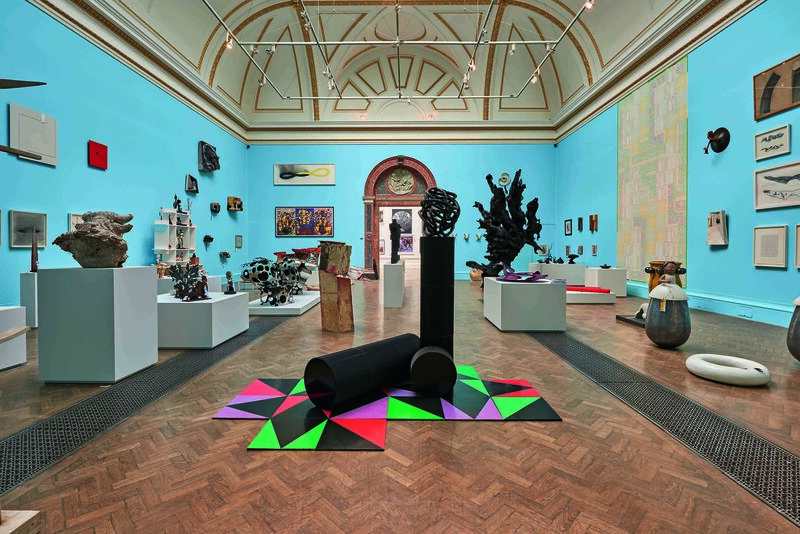 The whole raison d’être of the Summer Exhibition is aptly summed up by Bob and Roberta Smith RA: The Summer Exhibition is about artists’ generosity and democracy. 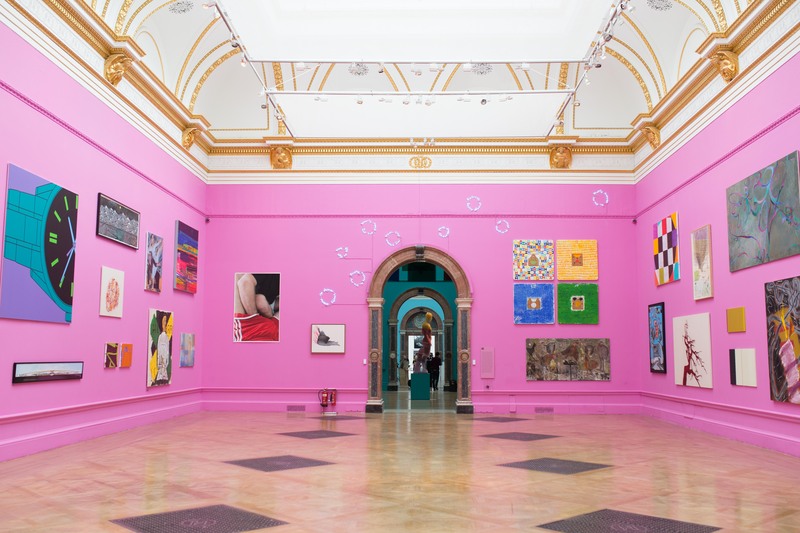 No other gallery in the world tries to do what the RA does – open its doors to everyone who thinks of themselves as an artist, to have their work judged by their peers. 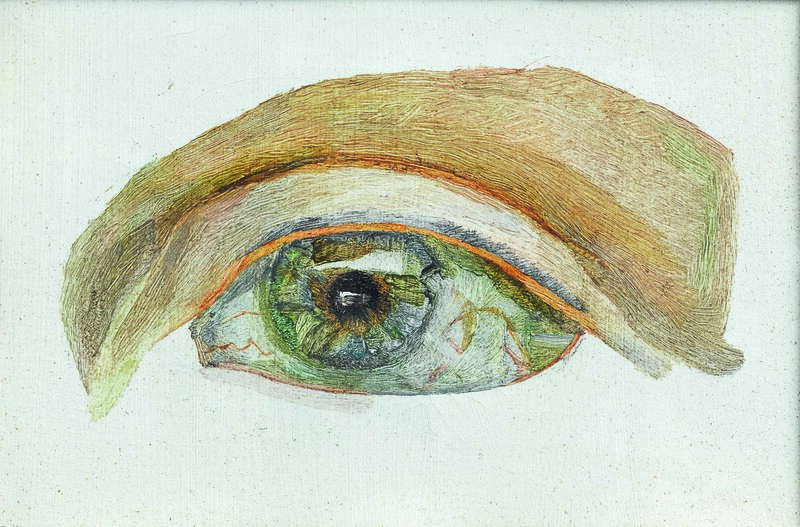 This is an exquisite exhibition of four small paintings and a selection of archival material and photographs. 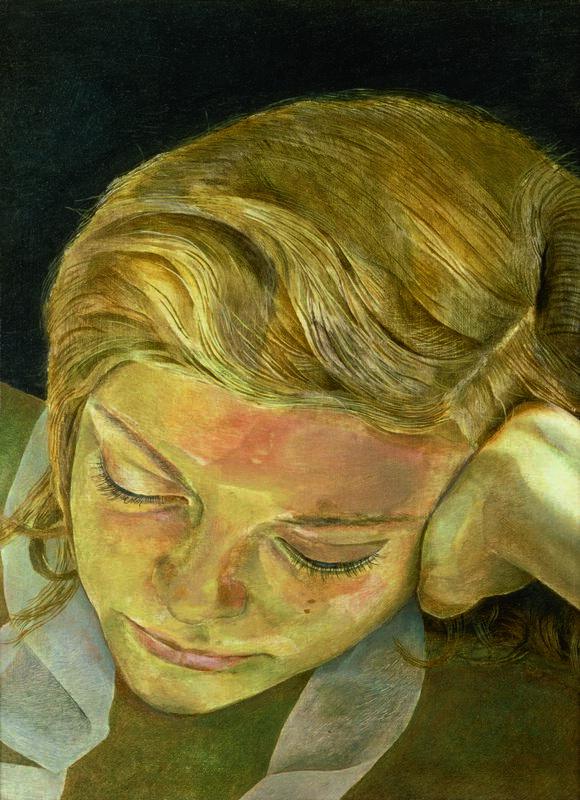 The subject is Lady Caroline Blackwood; the artist Lucian Freud; the connection is they married in 1953. Caroline was 18 when they first met in 1949 at a ball and although Freud was separated from his first wife Kitty they were still married. 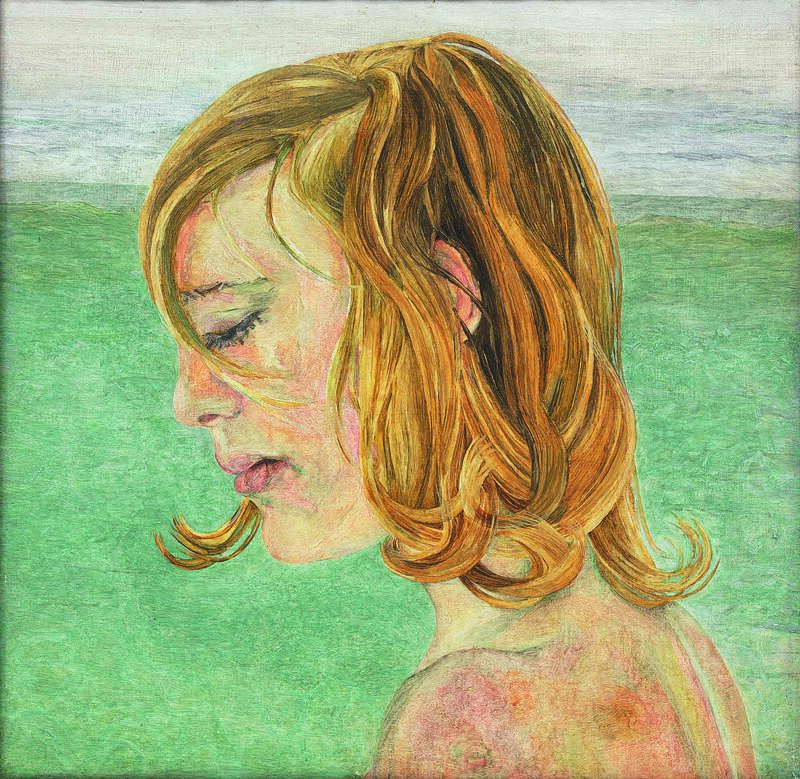 Caroline braved her mother’s (Maureen Dufferin and Ava) disapproval and moved in with Freud at his Paddington studio. He painted her between 1950 and 1956 and while these works are today thought to be tender depictions, at the time he was criticised for making her look older than her years. In 1952 Caroline and Lucian eloped to Paris and lived there for a year and then in 1953 they married at the Chelsea Register Office on London’s Kings Road. However the marriage was to be short-lived as Freud’s gambling and reckless behaviour led to its collapse. She moved to New York to study acting and became a well-known author but the bond between them lasted until her death in 1996. Two of the paintings on show Girl in Bed and Girl Reading were both painted in 1952 while Girl by the Sea, 1956, was the last painting Freud did of Caroline and in fact he just finished it before their break-up. Recently completed research has revealed that it was painted in Pedregalejo near Malaga, Spain. 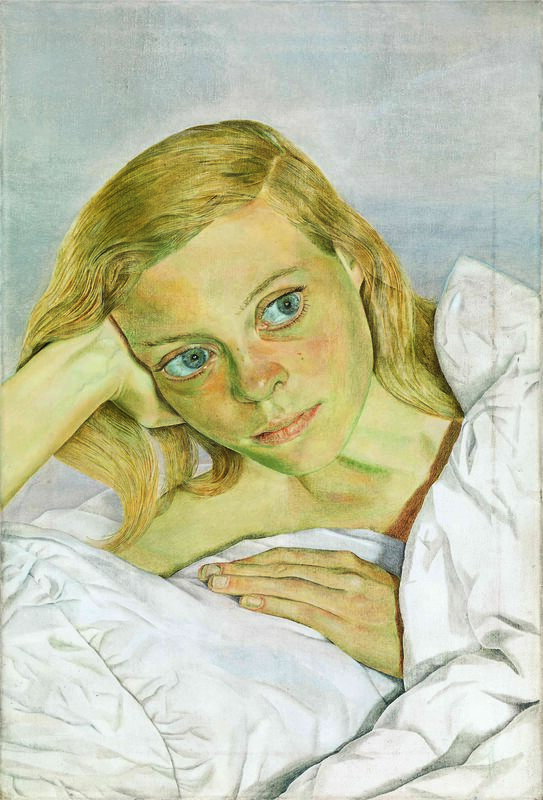 What added to Caroline’s beauty were her big blue-green eyes and the fourth painting (The Sisters, 1950) in the exhibition eloquently depicts one of them. Try not to miss this! 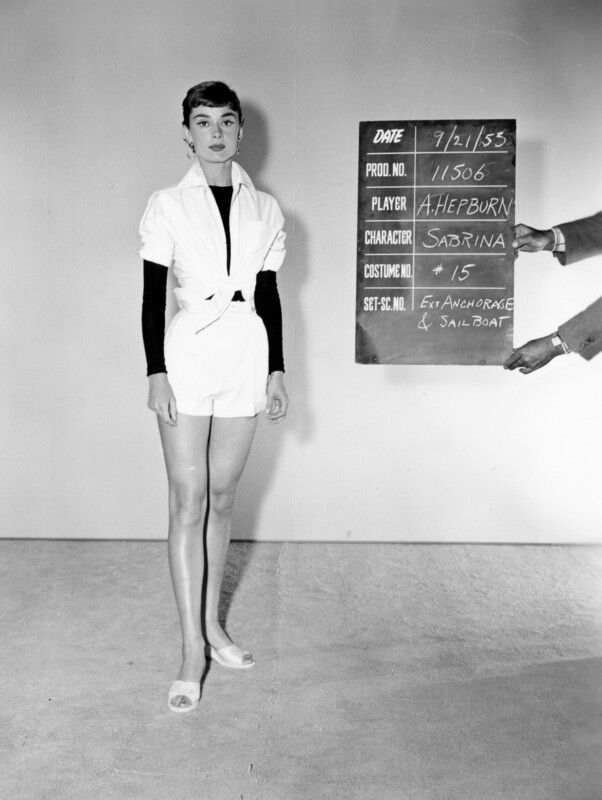 For admirers of Audrey Hepburn (and who isn’t?) this exhibition is a real treat featuring as it does many rarely seen images as well as classics we have all come to know. 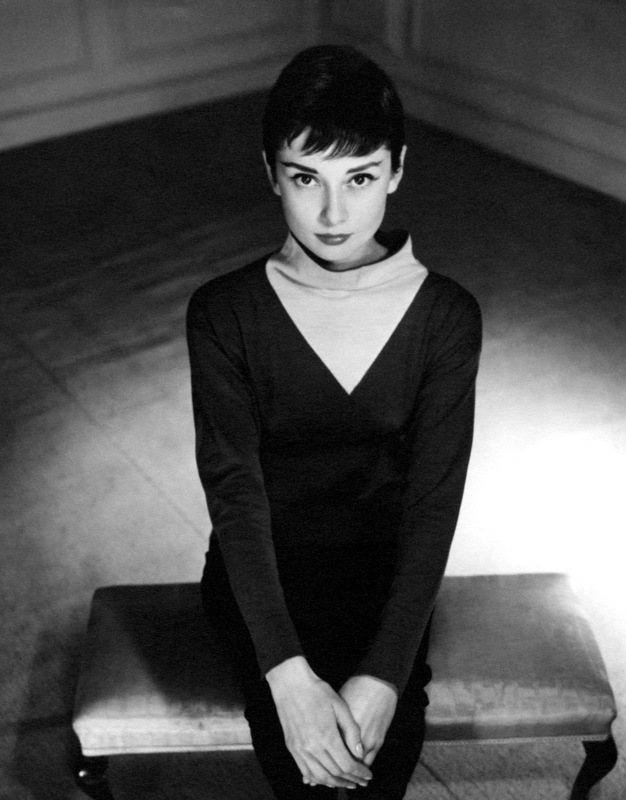 It takes us from Audrey’s early years as a dancer at Ciro’s night club, which by strange coincidence was located on the very spot in Orange Street which now houses the Gallery’s Heinz Archive and Study Room, through her film career right up to her inspiring work for UNICEF. 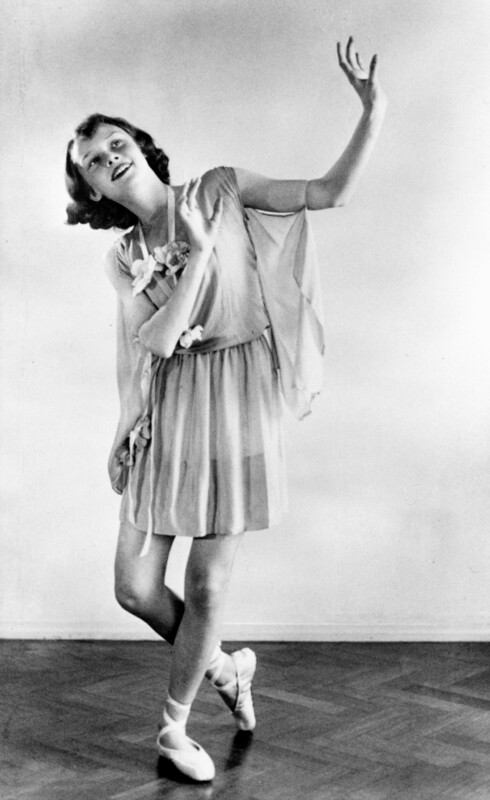 I am sure that she would have been amazed and indeed puzzled by becoming a modern icon and wonder what all the fuss was about as she was one of the very few film stars about whom you could say ‘what you see is what you get’. Not long before her death she appeared at the Barbican reading from the diary of Anne Frank to music composed by Michael Tilson Thomas. A truly magical night but afterwards she was telling everyone how she had been shaking with nerves. This from one of the biggest stars in the world! 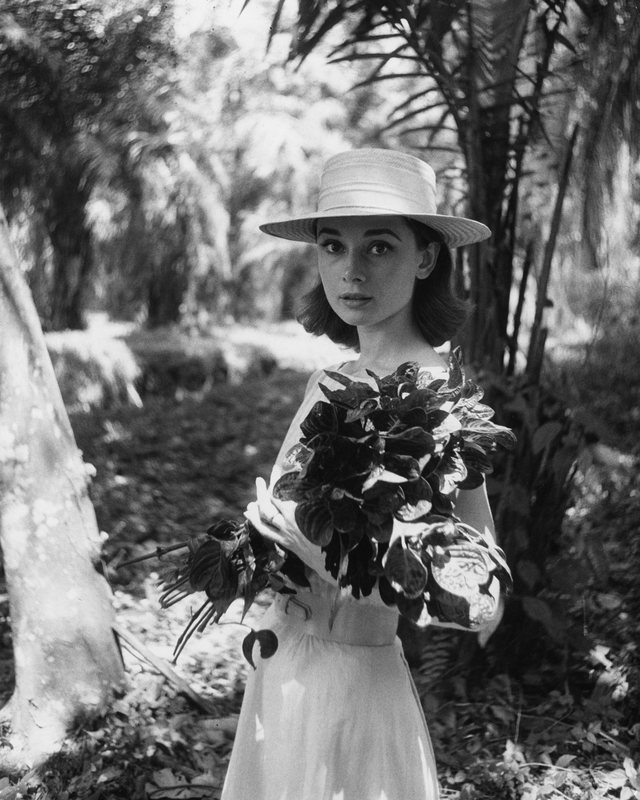 Film star, fashion icon, humanitarian and loving mother, all aspects are covered in this truly wonderful exhibition devoted to one of the best-loved actresses of all time. 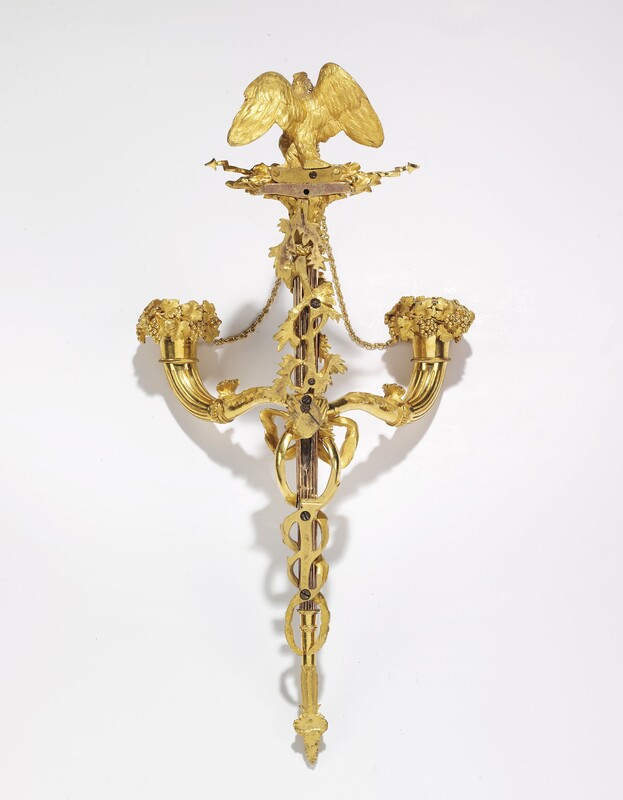 Provenance Possibly supplied by the marchand-mercier, Lazare Duvaux, on 14 February 1752 to Jeanne Antoinette Poisson, Marquise de Pompadour (1764) and possibly the pair listed in the 1764 inventory following her death as no. 2312. 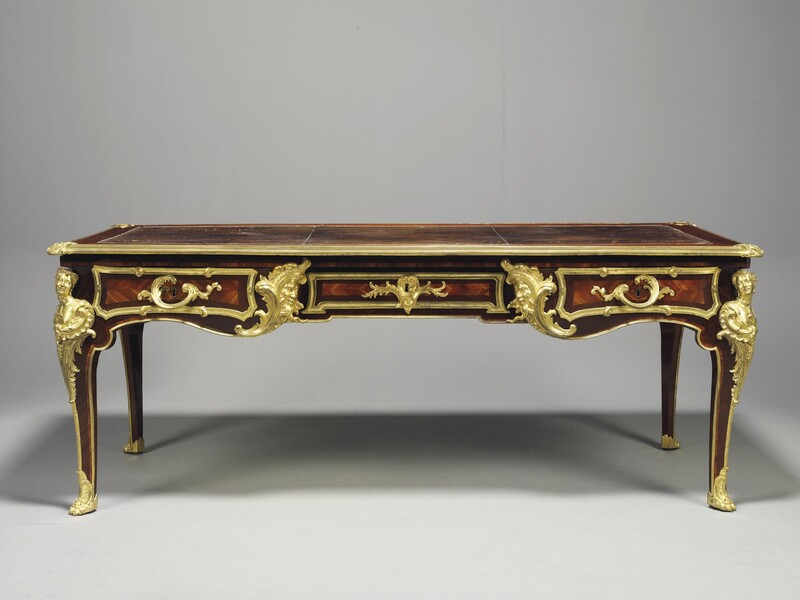 Possibly, M. l’Abbe Le Blanc, Historiographe des Batiments du Roi, sold, 14 February 1781, lot 128 and acquired by Jean-Baptiste-Pierre Lebrun, or sold anonymously (actually the properties of La Reynière, Donjeu, the marquis de Chevigné), 10 February 1773, lot 66. In the collection of Madame and Colonel Balsan in 1936, photographed in the ‘salle à manger’ of their Parisian hôtel overlooking the Champ-de-Mars. Thence by descent to the end of the 1950’s. 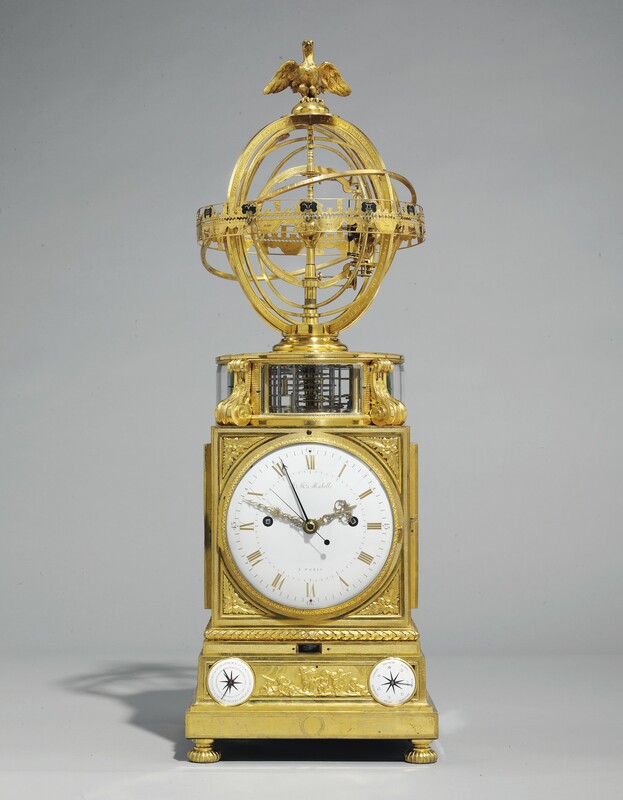 Sold, Sotheby’s, Monaco, 11 December 1999, lot 88, where acquired by the present owner. 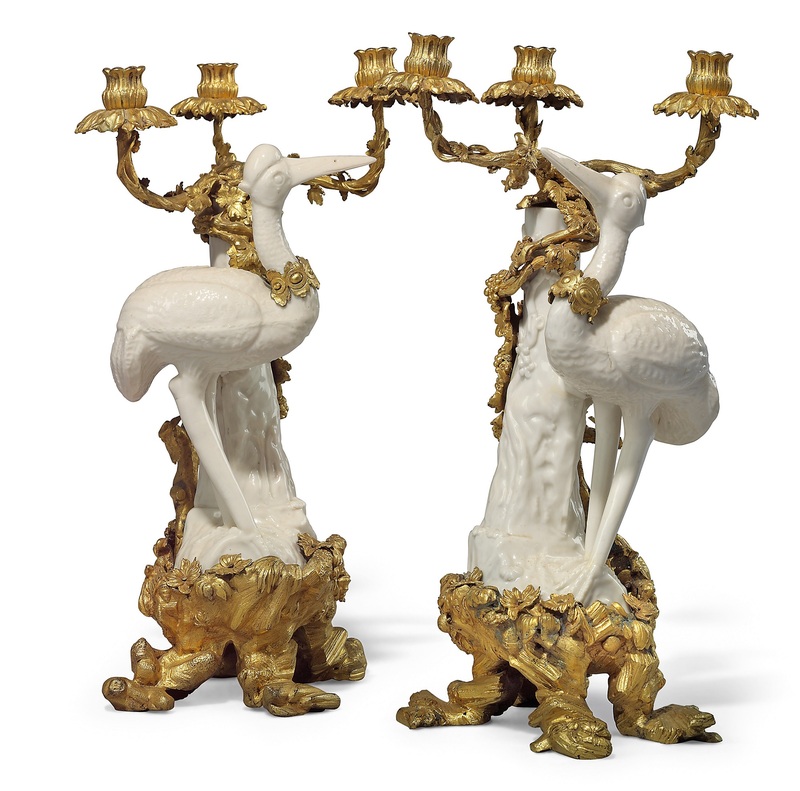 Christie’s hold a proud record for important sales of French decorative arts and this present sale, comprising twenty-two lots, is no exception. 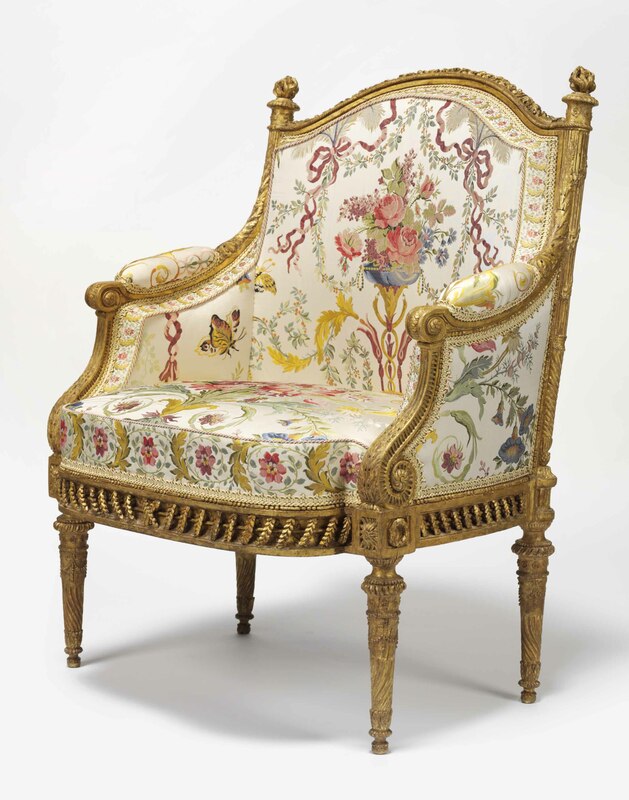 Many of the lots have not appeared at auction before and what a selection it is with pieces which have provenances from the 18th century as they were especially created for patrons such as Queen Marie Antoinette, Duke Albert de Saxe-Teschen, Jean Baptiste de Machault d’Arnouville, Chancelier de France and the Prince de Conti. 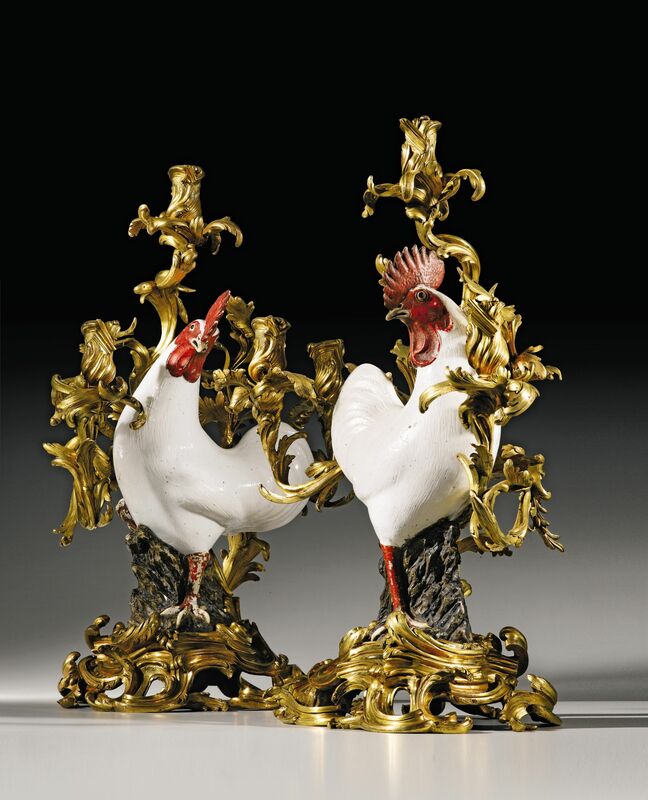 If that were not enough in itself some have then been part of celebrated collections including those of the Dukes of Hamilton, the Marquesses of Bath at Longleat and the Comtes de Vogüé at Vaux-le-Vicomte. 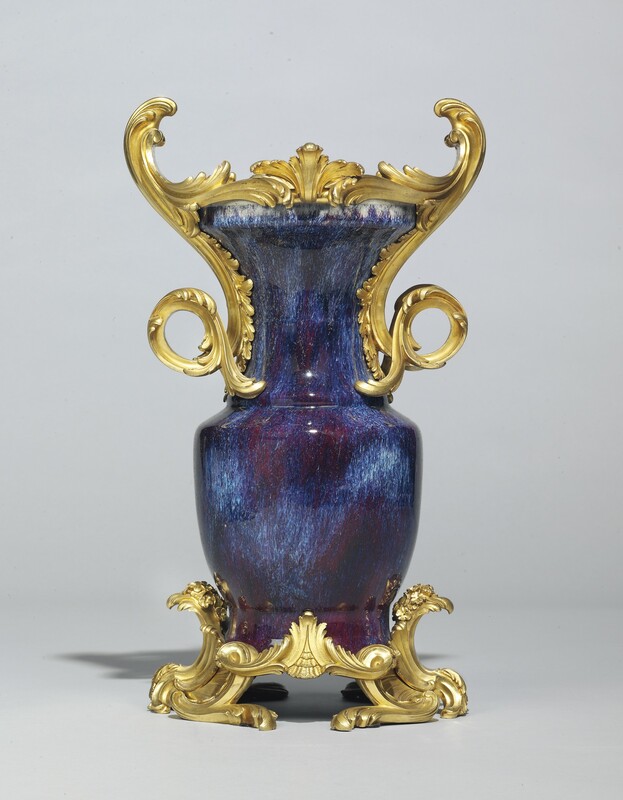 This really is, as the photographs show, a great sale with outstanding pieces. It is though it will achieve in excess of six million pounds. 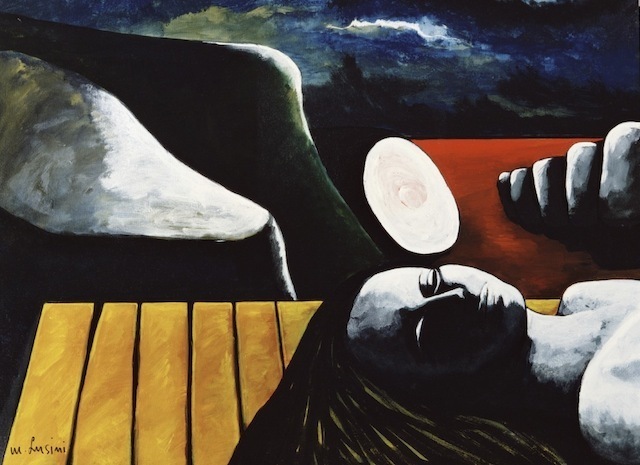 Marco Lusini (1936-1989) did not initially set out to be a painter but arrived there through a process that involved working in various artistic media. He found inspiration for his paintings in the works of the French poet Rimbaud, the plays of Bertolt Brecht and in the Sicilian landscape at Pantalica. 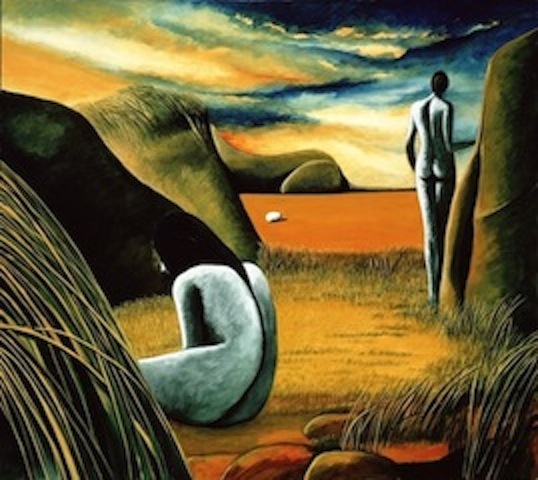 The pictures have strong colours which are a perfect foil for his exploration of the concepts of loneliness, asexuality, melancholy and nature. It is no surprise that he has been an inspiration to younger generations. 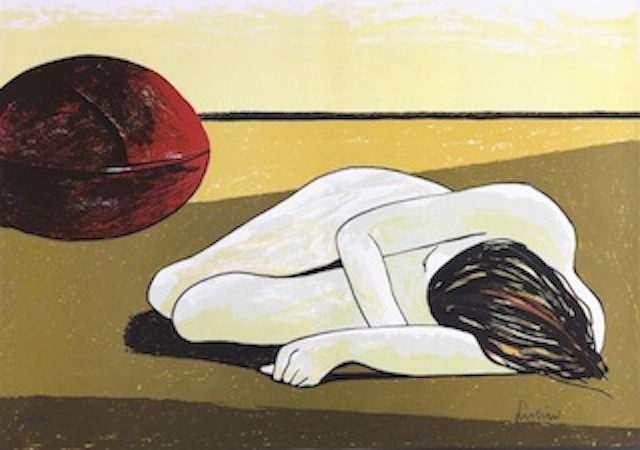 Lusini said of his works “I want to leave the viewer free to explore my artwork, listen to his own emotions, embrace them and find his own answers”. An invitation that is still readily taken up today. There is a small exhibition of his works running concurrently at the American West Valley Art Museum of Arizona in the United States.